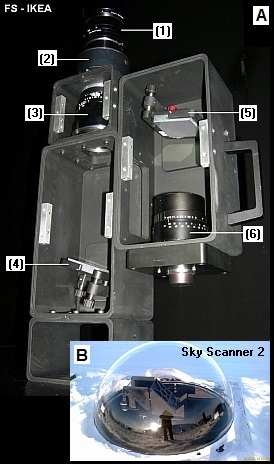 The instrument is a narrow field of view hyperspectral pushbroom imager. A front optical mirror system enables it to track any objects on the night sky as a function of wavelength throughout the visible spectrum. Front lens: Zeiss Planar F/1.4 85mm ZF.